The late great Jerry Garcia. Jesse's tribute to the famous team of Hunter & Garcia was a long time coming! It's been a long, not so strange, trip and he's enjoyed it every step of the way. of Jerry Garcia & Robert Hunter, it becomes a part of your soul forever. We are proud to offer it here. “Your singing voice is like a long-lost brother voice between Jerry Garcia and Dave Nelson. Everyone who knows their work and is fortunate enough to hear this record will know what I mean. What a trio you'd all have made! The tracks are modest with no intent to overwhelm or impress. There's no daredevil to your mandolin work, just rich and restrained musicality which says what it has to say honestly and inventively. So rare. Your vocal style showed me new ways to hear this material. The singing is steady and strong. Jerry would approve, I'm certain. 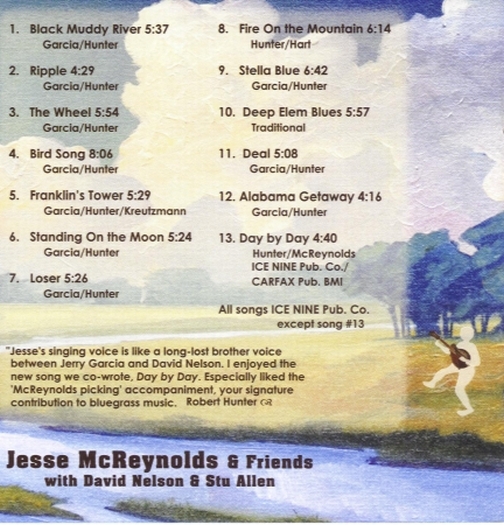 “After listening, I was reminded of what made Jesse McReynolds a major influence for so many musicians and one of our country’s greatest music legends. His musicianship, singing, and arrangements should be heard by everyone. It is an honor for all of us at Woodstock Records to bring this music to the public. “Jesse absorbed the gestures of Grateful Dead’s music, then crafted his interpretations complemented by Stu’s masterful guitar work, Tommy White’s steel that evokes and continues Garcia’s, and all the musicians on the project. One favorite of mine is “Loser” – a real winner here. 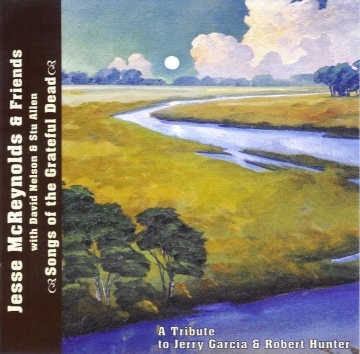 Robert Hunter’s lyrics and Jerry Garcia’s music is… wonderful.